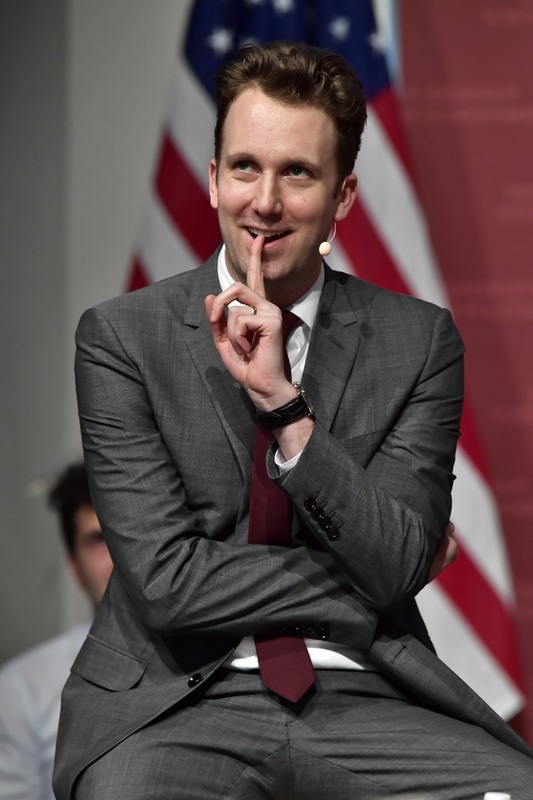 How Jordan Klepper's "Trump Diet" brought him to "the fringe"
For political satire and late night comedians, the Trump presidency may seem like the gift that keeps on giving. But Jordan Klepper, host of Comedy Central’s “The Opposition,” doesn’t buy that. On the latest episode of 1947: The Meet the Press Podcast, Klepper said President Trump is the gift of focus, not a gift to comedy. Klepper got his start in comedy improv with The Second City in Chicago. He began to focus on politically-edged comedy and realized how necessary it was for comedians to constantly keep up with the news. He eventually went to work for “The Daily Show with Jon Stewart“ during the final years of Stewart’s tenure there. In a media environment where the public is split on where information and news come from, Klepper decided to start listening to the Republican electorate’s news choices, which he called the “Trump diet”. While Klepper argues he’s not like Alex Jones, even if they are both entertainers, Klepper does think that his brand of comedy -- politically-edged, sharp, a little bombastic -- is the name of the game in late night talk shows now. “The late night slot in and of itself is a way to comment on what’s happening during the day. I felt like it used to be something like ‘This is what I want to go to bed to,’ and now it’s something you want to go to bed too but more so you want to wake up to and see how comedians digested the thing that just happened,” said Klepper.